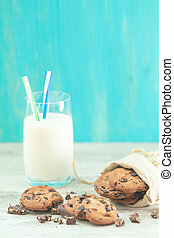 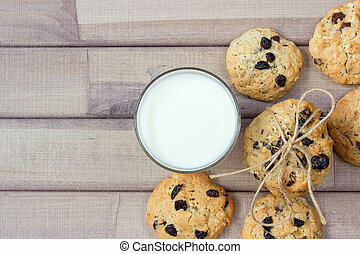 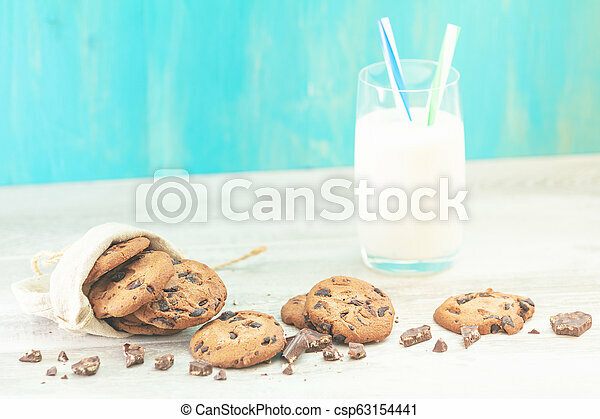 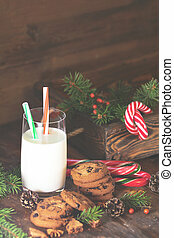 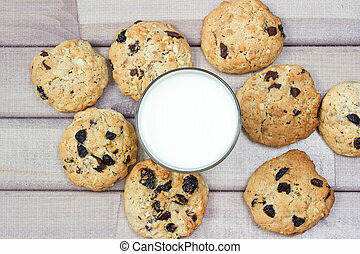 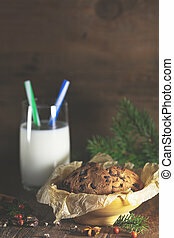 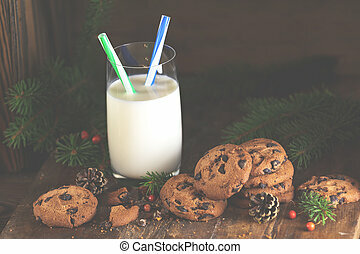 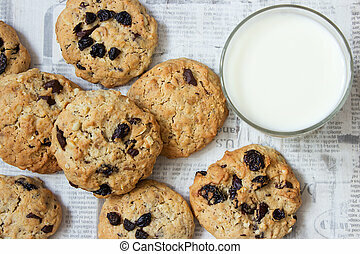 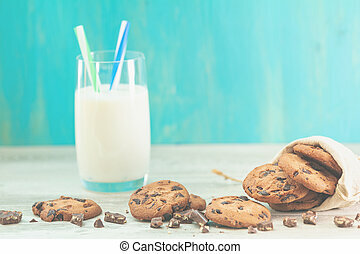 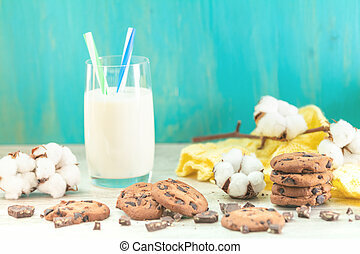 Christmas and new year composition with delicious chocolate cookies and glass of milk on light table and blue background. 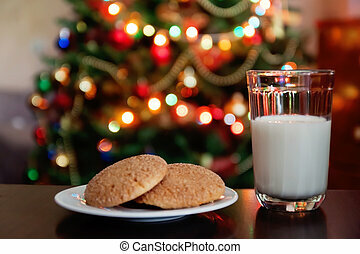 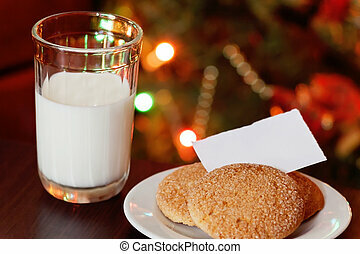 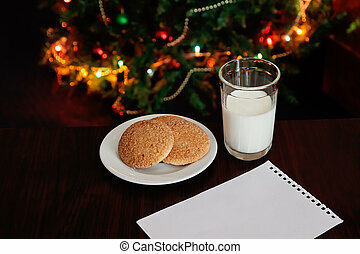 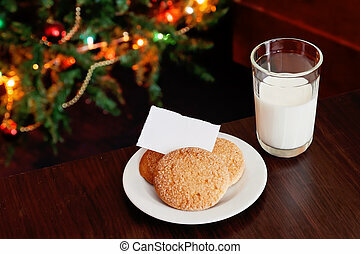 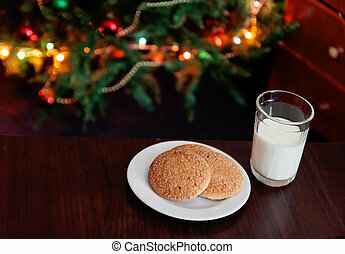 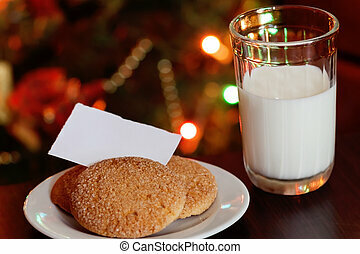 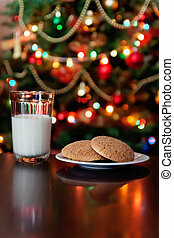 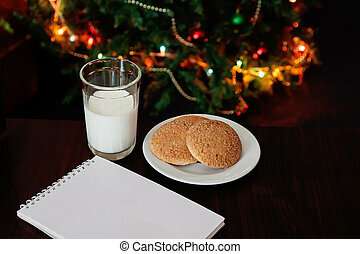 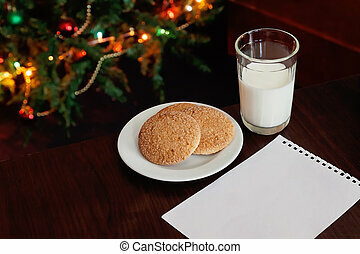 Christmas cookies and milk with note for Santa in front of lights of new year tree. 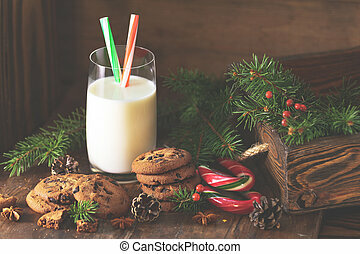 Christmas and New Year composition with delicious chocolate cookies and glass of milk, spruce branches and pine cones on dark wooden background. 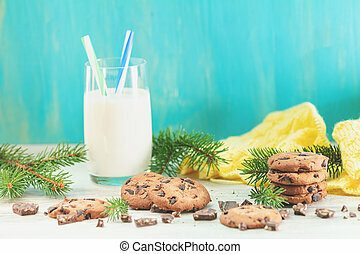 Christmas and New Year composition with delicious chocolate cookies and glass of milk, cotton plant flower branch on light table and blue background. 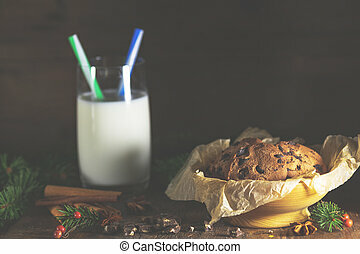 Christmas and New Year composition with delicious chocolate cookies and glass of milk, spruce branches and pine cones on light table and blue background. 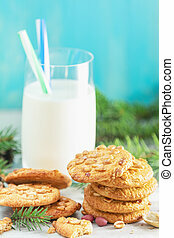 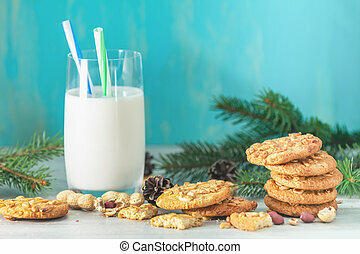 Christmas and New Year composition with delicious peanut cookies, peanuts and glass of milk, spruce branches and pine cones on light table and blue background.